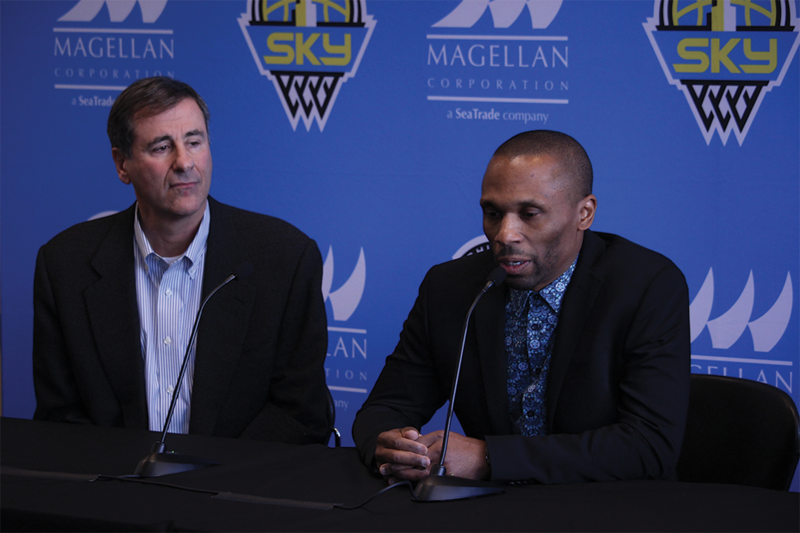 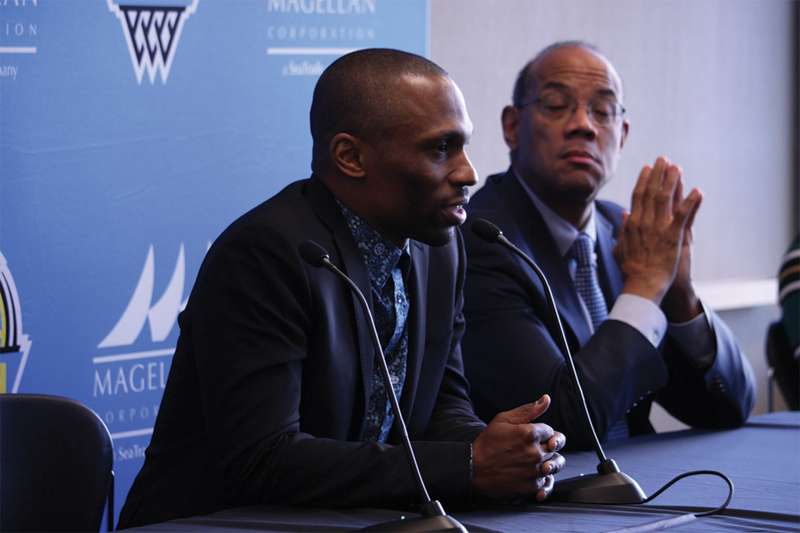 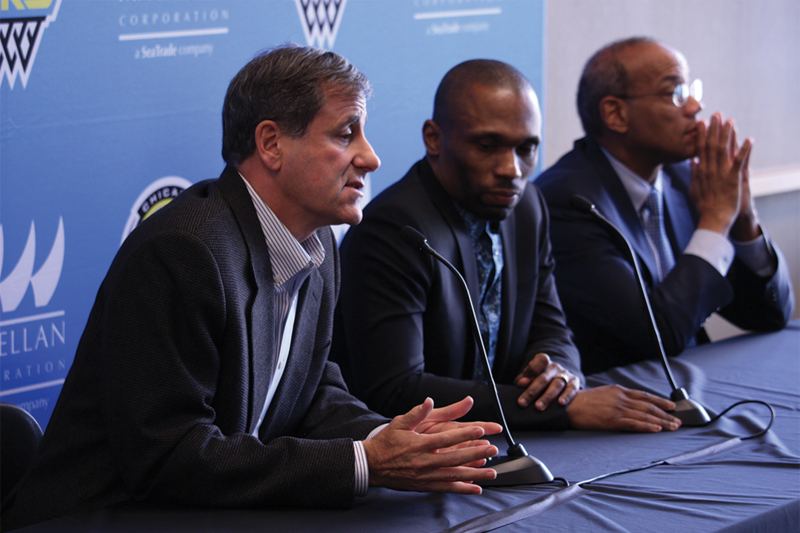 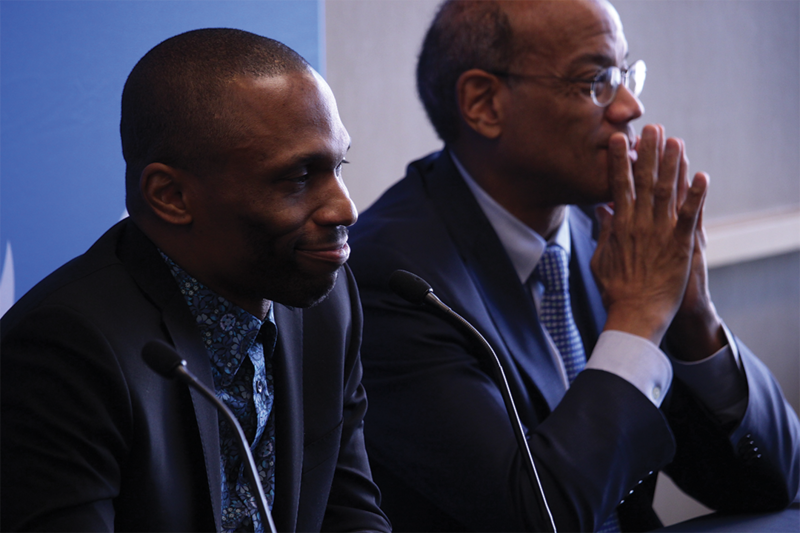 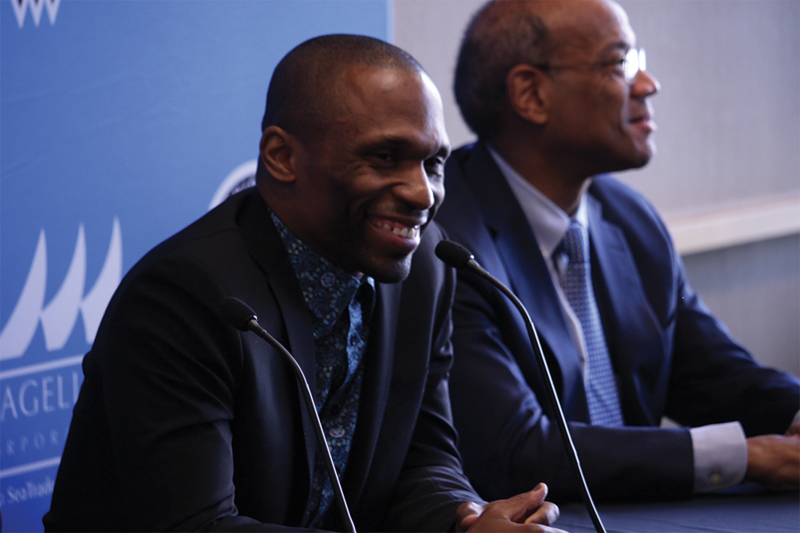 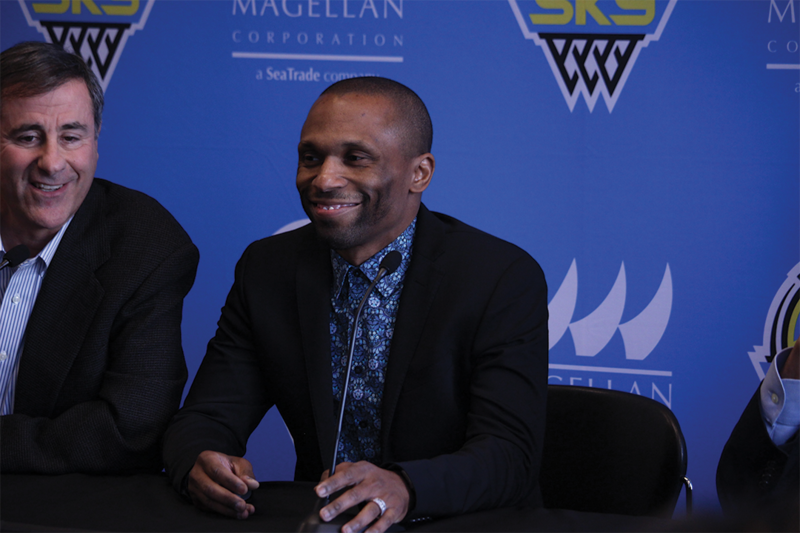 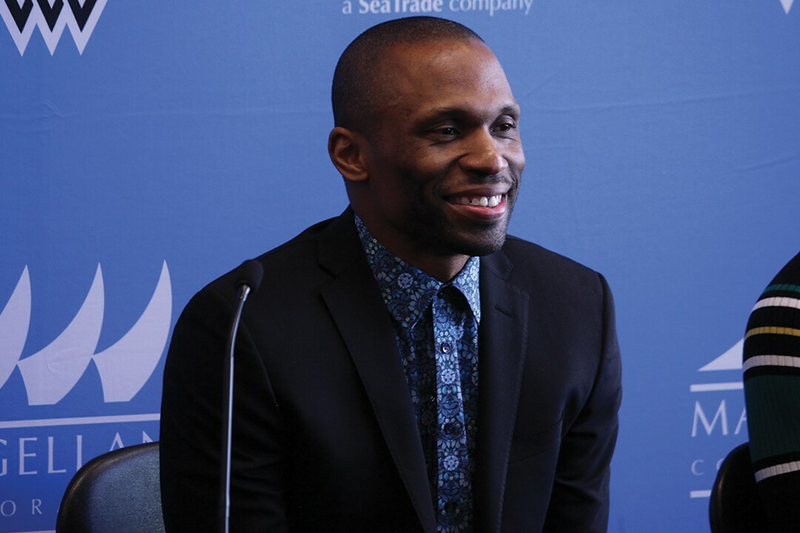 Chicago Sky Introduce New General Manager and Head Coach, James Wade. 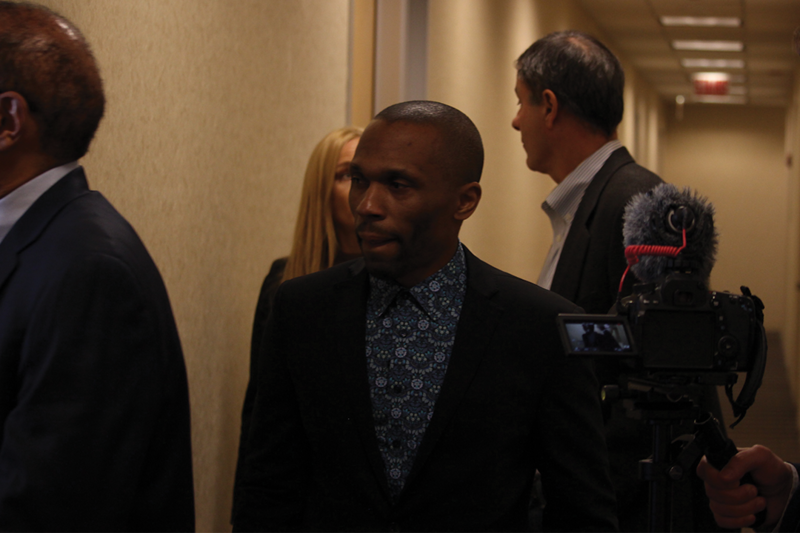 GM and Head Coach, James Wade enters the press room. 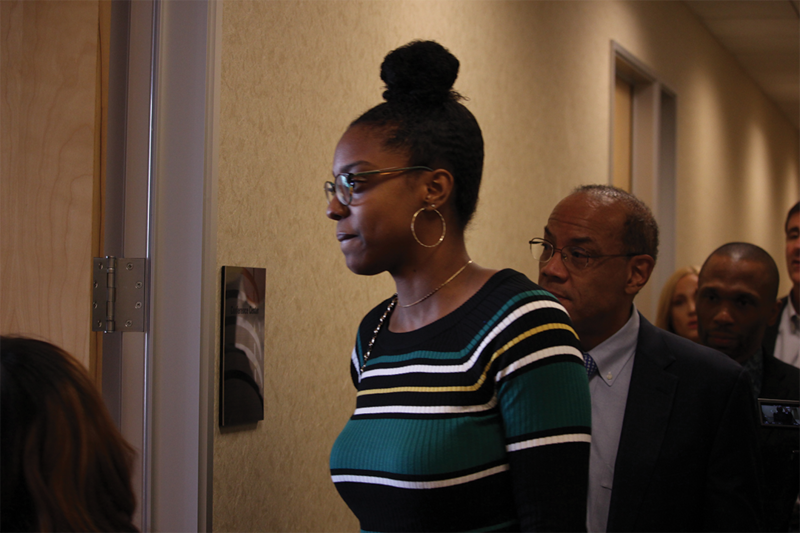 First -Team All-Rookie, Diamond DeShields entering the press room. 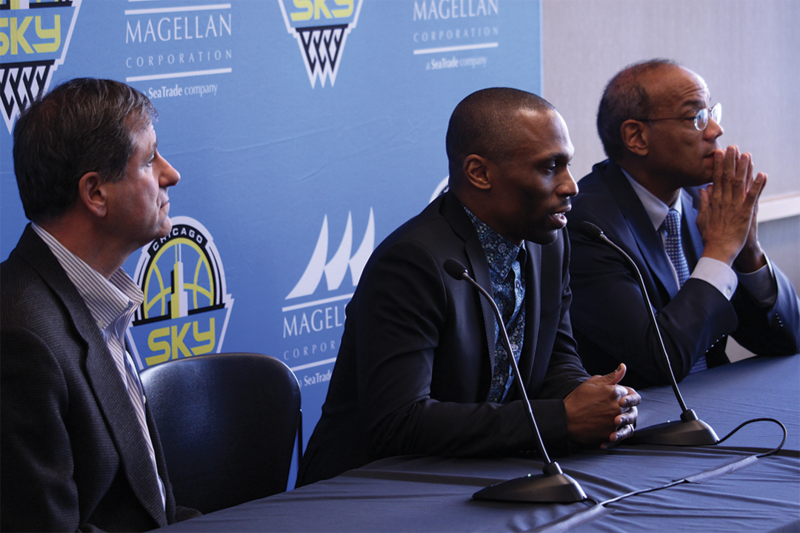 Team Owner Michael Alter, Gm and Head Coach James Wad, Minority Owner, John Rogers Jr.
Chicago Sky Team Owner, Michael Alter and new GM and Head Coach, James Wade. 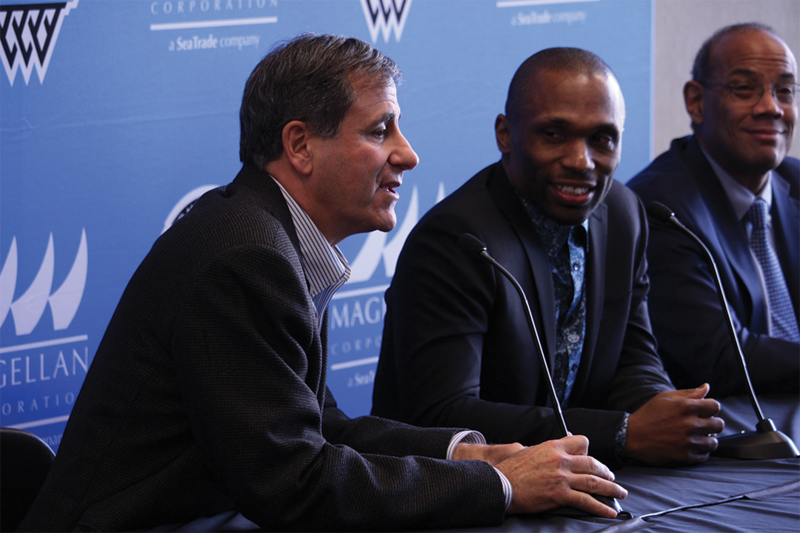 Team Owner Michael Alter, Gm and Head Coach James Wade, Minority Owner, John Rogers Jr.
GM and Head Coach, James Wade sharing a smile with Minority Team Owner, John Rogers Jr.
Diamond DeShield's reacts to GM and Head Coach, James Wade joke. 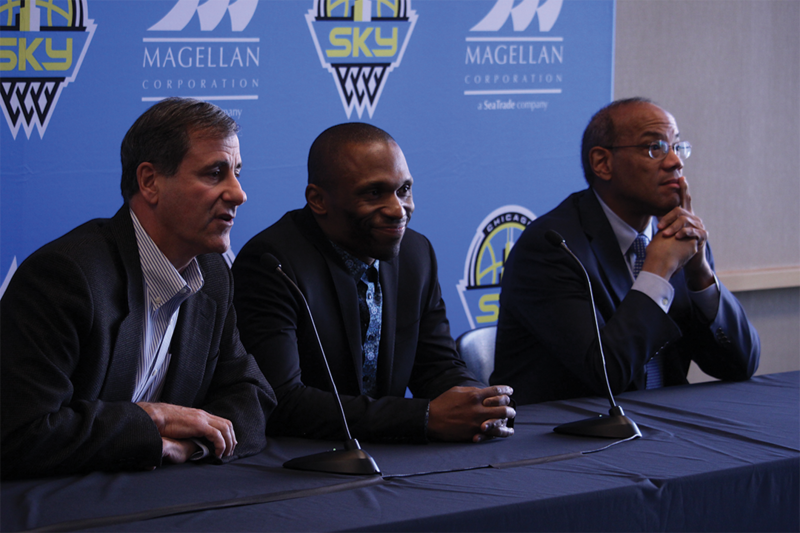 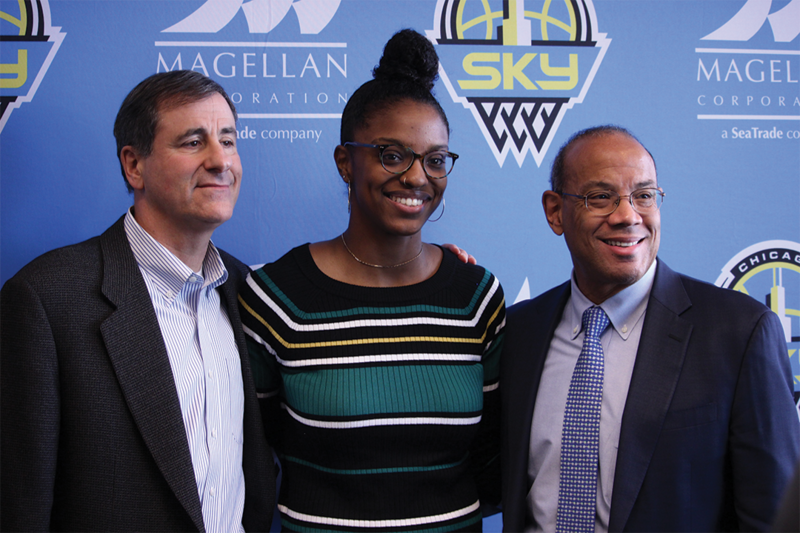 Chicago Sky Team Owner, Michale Alter shares a smile with the new Gm and Head Coach, James Wade and Minority Owner John Rogers Jr.
Chicago Sky Team Owner, Michael Alter talks to the press. 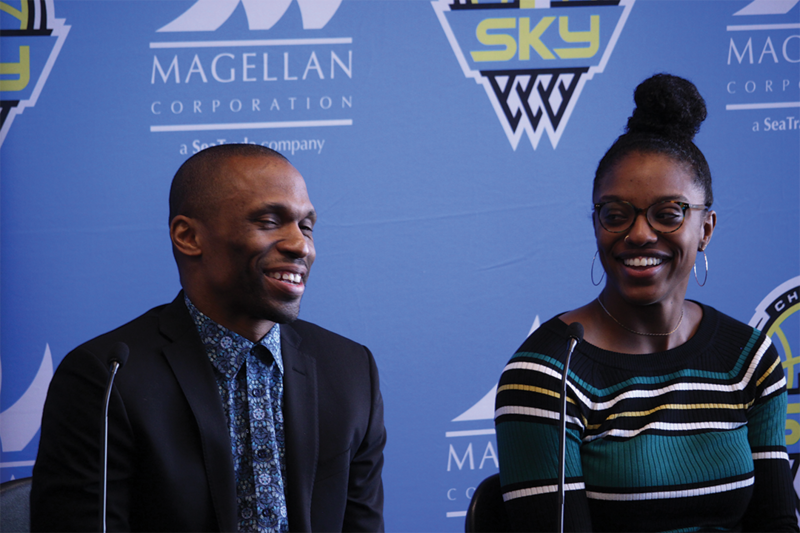 GM and Head Coach, James Wade and Diamond DeShields. 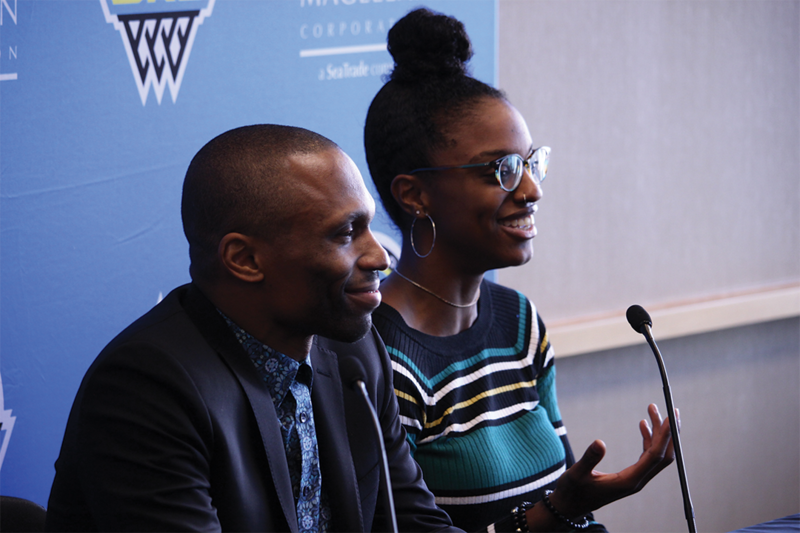 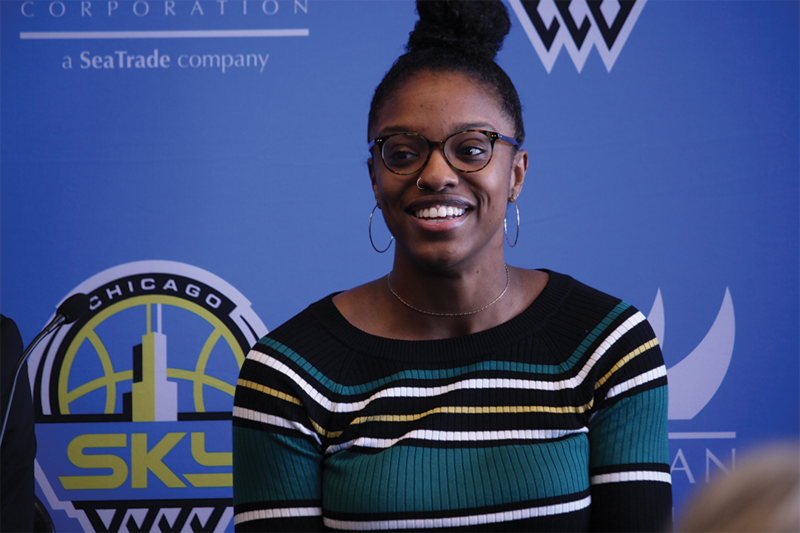 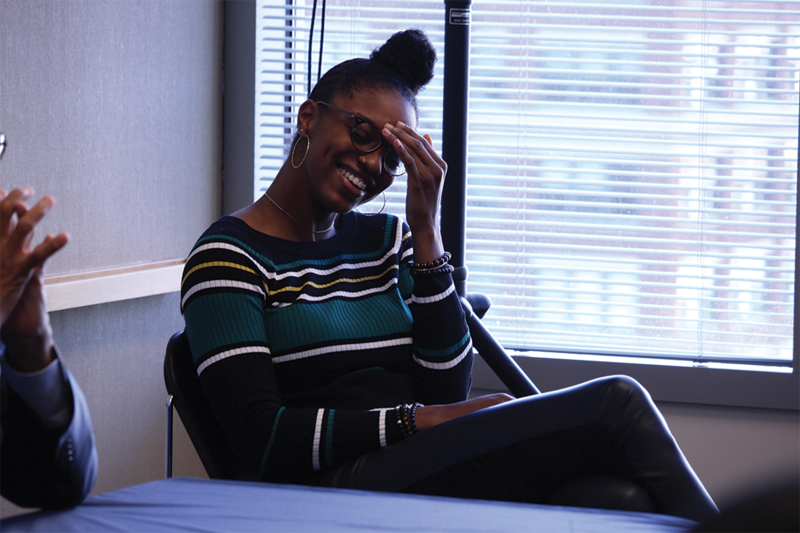 GM and Head Coach, James Wade shares a smile with Diamond DeShields during the press conference. 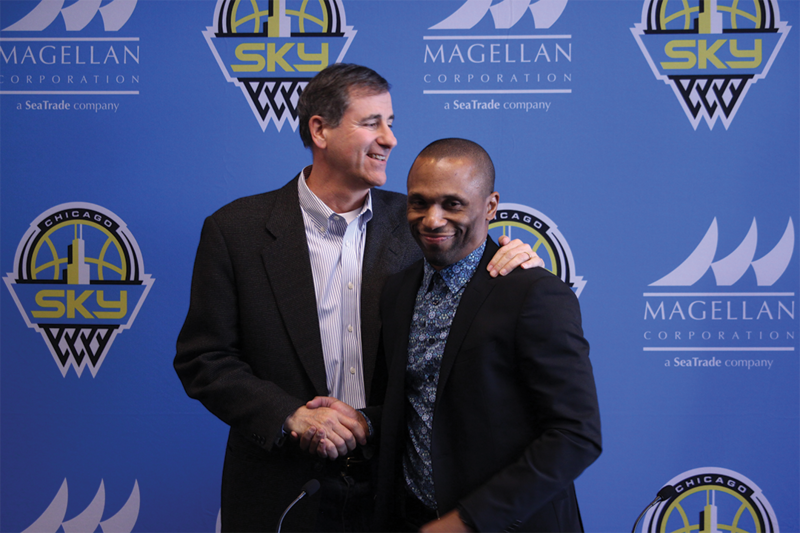 Chicago Sky Team Owner Michael Alter and new GM and Head Coach, James Wade.